Unai Emery has banned his Arsenal players from high-sugar fruit drinks as he steps up his overhaul of the Premier League club in the post-Arsene Wenger era. Emery has asked Arsenal's canteen staff to remove non-freshly squeezed juices from the club's London Colney training base. Instead, the Arsenal manager wants the team to follow his lead and drink a healthier alternative. The Gunners picked up their first win with a 3-1 victory over West Ham, having lost their opening first two games under Emery to Manchester City and Chelsea. 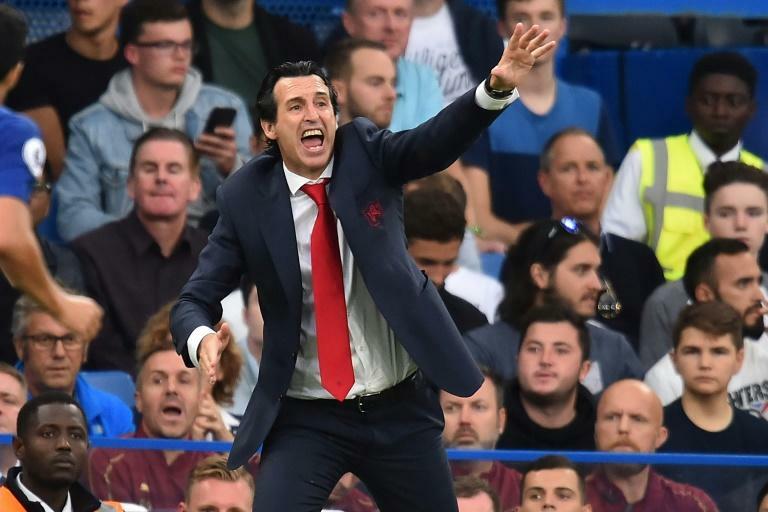 They face a trip to promoted Cardiff on Sunday, with former Paris Saint-Germain boss Emery insisting his new players are on board with his guidelines about what they should drink. "Yes, this is true," he told reporters when asked about the drink ban on Friday. "I like fruit a lot and I like fruit juice. But with a lot of sugar? Not very good. "It's for that and when I was very young, my father was coming every day with one fresh orange fruit juice. "I like it in my life, more of that. It's for that, when I arrived here, I asked only for that from the cook. And the players, I think, are the same. They prefer their orange juice fresh." Mesut Ozil, who missed the win over West Ham through injury, is fit to return at the Cardiff City Stadium following reports Emery had fallen out with the German midfielder over his failure to adapt to his preferred high-tempo pressing game. "He's training normally with the group, in every session this week," Emery said. "We started on Tuesday and every day he has been training with the group. He's OK. Also I'm looking at him well every day." Emery also confirmed Reiss Nelson is set to join German side Hoffenheim on loan for the remainder of the season, although he has also signed a new long-term Arsenal deal.